Friday July 12th 7.30pm. Guesdian Cemetery. If weather does not permit the Mass will be celebrated in the appropriate church. CLEAN-UP A clean-up of the Cemetery will take place on Wednesday at 7pm. As many as possible are asked to attend to tidy up along the walls, the pathways and unmarked areas. Many hands make light work! Please consider giving an hour to ensure the cemetery looks neat and tidy for the summer-bring gloves, brush, shovel etc if possible. CORPUS CHRISTI: is next Sunday. Procession in Belcarra after 8pm Mass on Saturday (weather permitting) around the field. TAX BACK FORMS: It would be appreciated if all outstanding forms could be returned by June 2nd (next Sunday) so that the parish claim can be lodged with Revenue. Your co-operation is deeply appreciated as this refund is of enormous benefit to the parish. ACTIVE AGE TOUR: will take place on June 26th. We will visit Kylemore Abbey and gardens, take a boat trip on Killary harbour and have dinner in Hotel Westport followed by a play. member, friend and other ARA member welcome. Contact Breeda 0949365843 or Maureen 094 9365091. BALLA N.S: Congrats and best wishes to the boys team from Balla NS who are through to the Division 2 County Final in McHale Park on Wed. June 5th. Many thanks also to all the wonderful grandparents who visited us on Friday last. MAYO STROKE SUPPORT GROUP: The Mayo Stroke Support Group in association with Croi, the West of Ireland Cardiac Foundation, will hold its next meeting on Thursday 30th May in the Newman Institute, Ballina between 11.30am-1pm. Admission is free of charge.For further information please contact Croi Nurse 094 9049172. McNICHOLAS CLAN RALLY : Takes place later this year.See http://www.kiltimagh..ie to follow events/McNicholas ClanRally/Facebook. Contact 094 9381494. This entry was posted in Community Notices, General, Recent Happenings, Upcoming Events and tagged Balla, events, happenings Church, mass, notices. This entry was posted in Community Notices, General, Recent Happenings, Upcoming Events and tagged Belcarra, events, happenings, mass. TAX BACK SCHEME FOR PAYE WORKERS If you are a PAYE worker who received a form from the parish we would ask you to sign and return it as soon as possible. Thanks to all who have already done so. This scheme is of enormous help to the parish as we keep our church and grounds in good condition. Have vacancies on their community Employment Scheme for care assistants as part of their In Home Support Service in all areas of Co Mayo. FAS criteria applies 094 9364900 for further details. If you have been affected by prostate Cancer, Cancer Care West invites you to a Prostate Cancer Society meeting on Mon-day May 20th at 7:30pm in the Cancer Care West Support Centre, Seamus Quirke Road, Westside, Galway. The meeting is free of charge. 091 540040 for further details. Will be held on this Sunday night in Durkans Pub, Balla. TOCHAR WALK leaves Ballintubber Abbey at 8:30 on Sat 25th. 094 9030934 for more info. A ‘thank you’ night for all who are in-volved in any ministry in the parish takes place next Friday night in Balla Resource Centre @ 8:30pm. Food will be served and music is by members of the Brose Walsh Band. This is always an enjoyable night and hopefully many of the people who give their time to parish ministry will be able to attend. It is very important that you let Fr Denis or any member of the pastoral council know that you are attending by Wednesday next at the latest. Will be attending the Ministries night. This entry was posted in Community Notices, General, Recent Happenings, Upcoming Events and tagged Belcarra, church, deaths, events, happenings, mass, notices. St. Cronan’s Church on Wednesday 22nd at 4pm. At this time we keep all doing exams in our prayers. TUAM DIOCESAN YOUTH CHOIR: Welcome to the Tuam Docesan Youth Choir and the diocesan Youth Officer Trish O’Brien. We are privileged to have these young people from all over the diocese lead the music at Mass today and we thank them for joining us. TAX BACK SCHEME FOR P.A.Y.E. WORKERS: If you are a PAYE worker who received a form from the parish we would ask you to sign and return it as soon as possible. Thanks to all who have already done so. This Scheme is of enormous help to the parish as we keep our church and grounds in good condition. 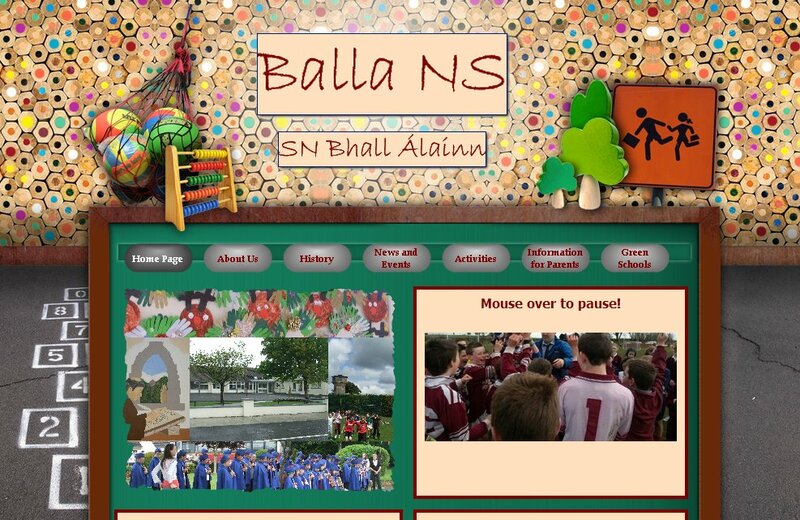 CONGRATULATIONS: to all the children who participated in the Balla Area Community Games this week. It was a tremendous success and well done to all! WESTERN CARE: CD Launch, street entertainment, buskers etc.McCarthy’s, Main St. Castlebar Friday May 24th 8pm. MINISTRIES NIGHT: The annual ‘thank-you’ night for all who are involvedin any ministry in the parish takes place next Friday night in Balla Resource Centre at 8.30pm. Food will be served and music is by members of the Brose Walsh Band. This is always an enjoyable night and hopefully many of the people who give their time to parish ministry will be able to attend. It is very important that you let Fr. Denis or any member of the Pastoral Council know that you are attending by Wednesday at the latest. This entry was posted in Community Notices, General, Recent Happenings, Upcoming Events and tagged Balla, community, mass, notices, organisations, parish. SUN: 12th May 11am: For all Exam Students. Tues. 10am, Fri. 7.30pm, Sat. 8pm. FIRST COMMUNION: for the children of Balla and Manulla schools will be celebrated next Saturday May 18th. Please keep the children, their families and teachers in your prayers at this special time. Sunday May 19th. They will be rehearsing from 9.30am. Anyone under 35 who would like to sing or play with them on the day is most welcome. ADORATION of the BLESSED SACRAMENT: will take place in St. Jarlath’s College, Tuam on next Saturday and Sunday. Each parish has been assigned one hour. The hour assigned to this parish is Saturday 10-11pm. Hopefully the parish will be well represented on this night. BALLA-BELCARRA: Community Games takes place at Claremorris Athletic track on Wednesday next May 15th at 6pm. Ann Maloney and Pauline Nally, Balla . HARRY JAMES and OISIN ANTHONY FARRELL-SCAHILL, Drumganagh, Manulla. KAYLEN ELLIE McANDREW, Breaffy Court, Castlebar. Congratulations to their parents and families. CHURCH GROUNDS AND CEMETERY: clean-up will take place on Wednesday next at 7pm. Anyone who is able to give an hour will be most welcome. People who visit the parish always comment on how well the grounds/cemetery look. All help on Wednesday is most welcome. TAX BACK FORMS: have been sent to those who have contributed over €250 to the parish during 2012. If you are a PAYE tax payer you are asked to sign the form and return it as soon as possible. Our thanks to those who have already returned them. IRISH CANCER SOCIETY: is seeking volunteers drivers to drive local patients to and from their chemotherapy treatments in Galway University Hospital. We are looking for volunteers to pick patients up at their homes, drive them to the hospital, pick them up again when they are finished their treatment and bring them home. The service is free to the patient and all drivers expenses are paid. MINISTRIES NIGHT: A Thank You Night for all who are involved in any Ministry in the parish will take place in Balla Resource Centre on Friday May 24th at 8.30pm. Anyone who is a reader, minister of the Eucharist, member of the choirs, a collector, counter, member of altar society, church care group, church grounds carer, Do this in Memory core group, member of Pastoral Council, Finance Committee, distributes envelopes or helps out in any other way during the year, you are most welcome to this function. It is important that all attending would let us know so that food can be arranged. If you are attending please fill out the coupon and return it to the collection basket or directly to Fr. Denis before May 20th. This entry was posted in Community Notices and tagged Balla, community notices, events, happenings, masses, newsletter, parish. deceased of Durkan & Butler families. Josie Waters, AnnaMae Bourke, Rachel Brennan, Mary Conlon. for Ireland, in the summer months. All are welcome. TUAM DIOCESAN PILGRIMAGE: to Knock takes place this Sunday. Anointing of the sick at 2.30pm. Mass 3pm. TUAM DIOCESAN YOUTH CHOIR: will sing at Mass in Balla on May 19th at 11am. TAX BACK FORMS: have been sent to those who have contributed over €250 to the parish during 2012. If you are a PAYE tax payer you are asked to sign the form and return it as soon as possible. RATHDUFF/GARHOWNAGH GWS: Collection of annual fee on Wed. 8th May 8.30 – 9.30pm in Community room. aunt of Pat Flatley. Pollavaddy. JOHN KELLY, Cornacool, Castlebar. Brother-in-law of Mary Tonra, Prizon. or third level will be remembered. CATHOLIC GRANDPARENTS ASSOCIATION: invites grandparents, parents and teenagers to a social evening with Fr. Benny McHale, James Kilbane and the Sacred Heart school choir on Wednesday May 8th in Castlecourt Hotel, Westport at 8pm and to discuss issues affecting young people today. Adm free. all welcome. THANKS: Fr. Antonio would like to thank all who supported his mission appeal last weekend. (Balla €660) (Belcarra (410). WARMER HOMES SCHEME: Get your home insulated for Free and Reduce heating costs: 1. Owner occupied, non Local authority Homes. (2) Job Seekers Allowance for over 6 months and with children under 7 yrs. MINISTRIES NIGHT: A Thank You Night for all who are involved in any Ministry in the parish will take place in Balla Resource Centre on Friday May 24th at 8.30pm. Anyone who is a reader, minister of the Eucharist, member of the choir, a collector, counter, member of altar society, church care group, church grounds carer, member of Pastoral Council, Finance Committee, distributes envelopes or help out in any other way during the year you are most welcome to this function. It is important that all attending would let us know so that food can be arranged. If you are attending please fill out the coupon and return it to the collection basket or directly to Fr. Denis before May 20th. This entry was posted in Community Notices and tagged Balla, Belcarra, events, mass, notices, parish.